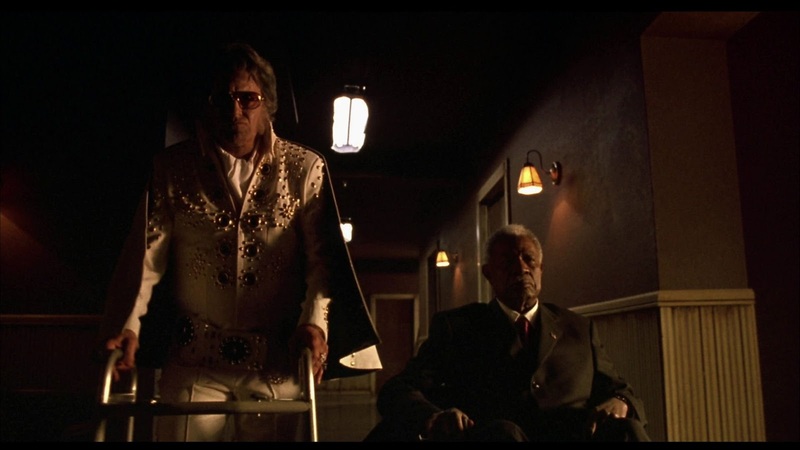 I recently re-watched Bubba Ho-Tep at the Bruce Campbell Horror Film Festival last August and was blown away once again by how great Ossie Davis is in that movie. 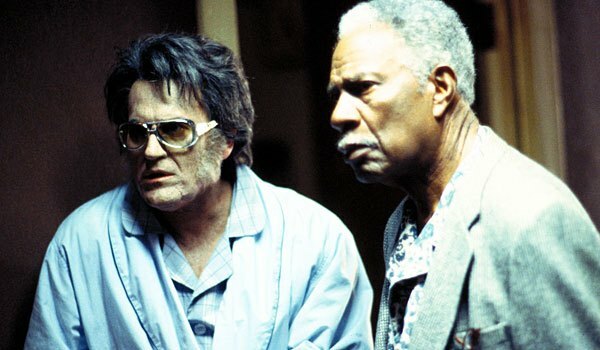 It goes without saying that Bubba Ho-Tep contains one of the best performances (maybe my favorite) in the career of Bruce Campbell, but I think a strong reason for that is the dynamic struck up with his co-star Ossie Davis. Campbell and Ossie Davis have great chemistry together, often times with Davis playing straight man to Campbell’s more irreverent creation. • “They died me this color. That’s how clever they are. Can you think of a better way to hide the truth than that?” This is followed by a very subtle and hilarious touch of Davis looking around after he says that line. Besides his dialogue, I love that Davis is so earnest about the material. He seems legitimately freaked out that a soul-sucking mummy is terrorizing his rest home and also rejuvenated to have one final adventure which gives him some much dormant life and vitality. So does his friendship with Campbell’s Elvis character. 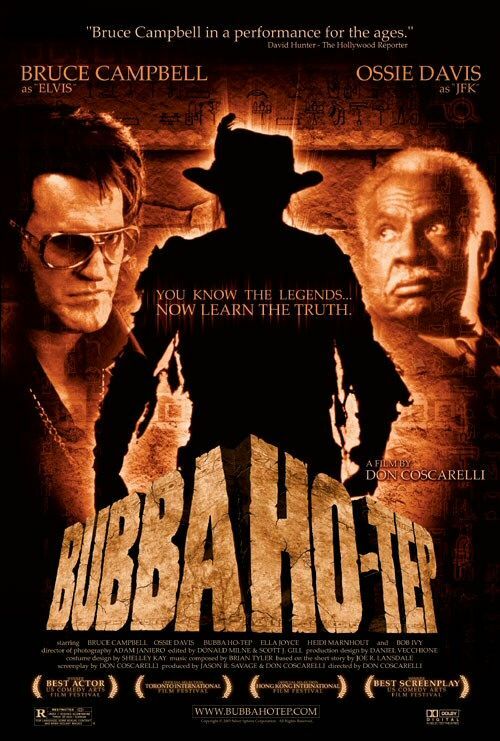 I adore when movies portray a friendship developing, and Bubba Ho-Tep, at its heart, is in part about that. It doesn’t matter if they’re both crazy. They’re friends and because they’re friends they believe one another are sane. 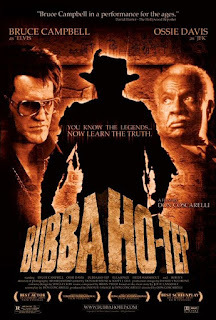 To close, I’m going to quote the great Roger Ebert from his review of Bubba Ho-Tep. When describing the Campbell and Davis performances he says (I’m paraphrasing) that they “never wink at the audience or patronize the material” and that they give their roles “all of the curiosity and respect they’d deserve in a serious film.” In short, it’s a performance that takes care of business. I watched this as a kid and didn't like it. Something tells me I'll see it differently now. I'll seek it out for sure! Funny you should say that. I didn't like it that much the first time I saw it either but have since grown to really love it. A friend just lent this DVD to me last week! He actually showed it to his now-wife on their first date... Which is amazing. I'm hoping to watch it in the next few days. Beside the performance of Ossie Davis, I was really surprised how really touching this film is, which made it stay much longer in my mind than this kind of film usually has any right to do. The short story of this is really worth reading as well, by Joe Lansdale. I literally went old school with it and READ that to my girlfriend, and the whole endeavor went over like gangbusters; she loved it. It really, really is an interesting, crazy thing that the world is better off having in it. If you love funny, gross, and insane horror stories, this is for you. Also, Joe Lansdale is a champion and should be so much more well known than he is. Nice work Riske, "Thank you, Thank you Very much!" "Would you like a ding-dong? Oh, I don't mean *mine*! I mean a chocolate ding-dong, Of course mine *would* be chocolate now that I've been dyed"
Elvis: Look, man, you know President Johnson's dead, Right?